Thanks to a two hour rain delay,I was able to at least listen to last night's Pirates game in St.Louis against the Cardinals. Sadly,the Pirates offense wasted some superb pitching and lost 1-0 in ten innings to the Redbirds. Javier Lopez (2-2) allowed the game winning run in his only inning (officially a third of an inning). Daniel McCutchen (1-4) pitches tonight for Pittsburgh against former Pirate Jeff Suppan (0-6 in looks to be a stellar matchup of ERA that range from Suppan's 6.16 to McCutchen's 8.58. 1) Five hits in ten innings,none for extra bases and zero runners beyond second. That shows you the type of night that the Buccos had. 2) Hard to blame Neil Walker for bobbling the Brendan Ryan hit that ended the game. With the infield in to cut off the run,the ball is right upon the fielder and everything has to work perfectly to have a chance to throw the runner out. Ryan Ludwick was running on contact,so even with a smooth play,the likelihood of gunning Ludwick down at the plate was small. 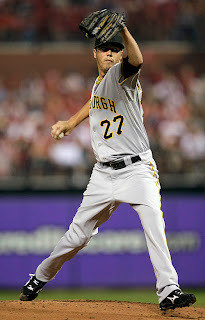 3) The Pirates had to be encouraged by the pitching (Lopez excluded) as Jeff Karstens allowed just seven hits in six scoreless innings and Evan Meek along with Joel Hanrahan combined for three more without a run or hit. Hanrahan struck out the side. 4) Looking at the year for Meek and Hanrahan thus far,I would be more than Ok with either moving into the closer role if Octavio Dotel is traded today. I know Hanrahan's closing stint with Washington was spotty,but I would like to see either of these two get a chance to close,especially if it means bringing in more talent. 5) Erik Kratz gunned down all three Cardinals that attempted to steal. That is worth noting considering the Pirates issues with that this season. Kratz is the first catcher to accomplish that feat since Keith Oisk in 1999. 6) Kratz shouldn't get too comfortable nor should Ryan Doumit as it appears Pittsburgh is close to obtaining Chris Snyder from Arizona. Snyder would give the Pirates a defensive upgrade from Doumit and an offensive player that equals Doumit and far surpasses Kratz. My questions are these-Is Snyder being brought in ship elsewhere or could Doumit's days be numbered? 7) Trade deadline today with Paul Maholm mentioned in rumors from the Dodgers,Mets and Padres. Nothing on Zach Duke,which might be the pitcher I would prefer to move of the two. If a Pirate deal occurs,I'll be back later with an update. Don't forget to check us out now on Facebook!! 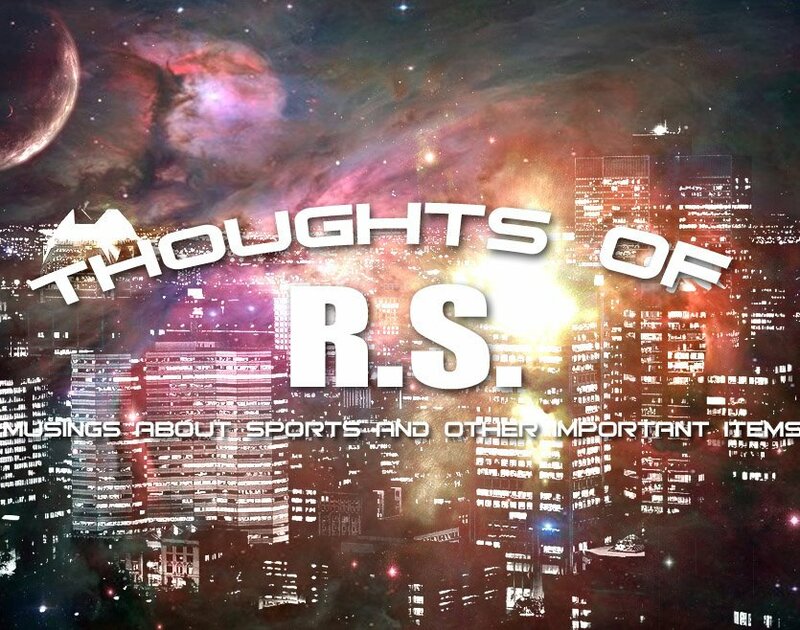 We are now on Facebook with our own page (thoughtsofRS),so feel free to make us a friend there! Anything that makes it easier and more accessible for the reader! If Paul Maholm was supposed to use yesterday's game in Denver against the Rockies as an audition for teams looking for a trade deadline pickup,he failed miserably in that regard as the Rockies hammered Maholm and the Pirates 9-3. Maholm (6-9) allowed eight run over five and a third in the losing effort. 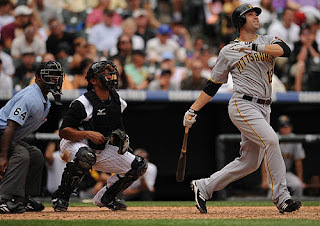 Neil Walker homered (5) for the only bright spot for Pittsburgh. The Pirates travel to St.Louis tonight for the first of three games against the Cardinals as Jeff Karstens (2-6) battles St.Louis ace Chris Carpenter (11-3). Due to the late start with the game being on Central time,the Pirates will not be covered for the game. 1) Looks like Ross Ohlendorf will be able to make his next start after being nailed by a line drive Tuesday night. Ohlendorf was smacked by a Troy Tulowitzki liner and was removed from the game. 2) The loss yesterday cost the Pirates a chance at a road sweep for the first time this season. 3) Former Pirate Matt Capps was swapped to the Twins yesterday for two prospects,most notably top notch catching prospect Wilson Ramos. I thought the Pirates made a mistake in not bringing back Capps and despite a good season from Octavio Dotel,who is rumored to be on the block,Capps is younger and will have brought more in trade return. 4) Turning point of the game was in the first inning as Garrett Jones was picked off second to end the inning just after a run scoring double. Why on earth would you allow yourself to get picked off with two outs off second base when you are already in scoring position? 5) But John Russell might have beaten that with an intentional walk in the second inning to Ian Stewart,who struggles with lefties to pitch to Ubaldo Jimenez with one out. Jimenez fanned,but Dexter Fowler and Clint Barmes each with great numbers against Maholm ripped hits and the rout was on. When it came to sports interview shows in the 80's and most of the 90's,only one show came to mind-SportsLook or later Up Close with Roy Firestone. The show was a staple of mine for years around five thirty with Firestone and a guest talking with just two chairs in the studio. Sometimes the show was devoted entirely to the guest with others getting fifteen minutes and an assortment of rotating contributors filling out the show,but it usually was interesting,if not always entertaining. Firestone's name came up a few days ago,when I remembered the terrible (and thankfully brief) lyrical version of the show's theme and of course had to offer my take on it (sorry,no YouTube available of either!) that was written and sung by Terry Cashman. Cashman is the singer that did all of the Talkin' Baseball songs that were such the rage in the early 80's. Cherie wondered whatever happened to Firestone and reading the Sports Illustrated that arrived in today's mail (the Whatever Happened to issue,which is my favorite issue of the year),I found an article on Firestone and the show. 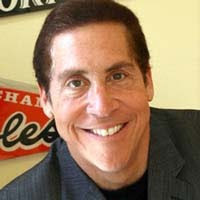 Firestone still does the banquet circuit and appears in various films and television projects that need a sportscaster role,but SportsLook continues to be remembered so well. ESPN Classic has a SL everyday and watching them makes one feel old and dated,but in a not so good way. Firestone and SportsLook were very much like the old Tomorrow show (or his later effort with CBS,the Late Late Show) with Tom Snyder with both being the type of conversational television that we just don't have enough of any more with probing questions that brought the person being interviewed out of their public relational shell enough to answer questions honestly and without spin for good or bad. Firestone could be quite funny as well as his impersonation of Gordon Lightfoot singing the National Anthem has been a staple of comedy here for years. Don't get me wrong,there were sometimes stinker programs,usually when Firestone booked a comedian or musician. I realize that sports fans come from all walks of life,but just as Firestone wasn't calling me up for a 20 minute stint on my opinions on sports,he shouldn't have been imposing David Brenner's on us either. Brenner being a funny person doesn't make his opinion's any more worth watching than mine and nothing was a guaranteed channel turner more than the occasional visit from jazz musician Winton Marsalis. However,running five days a week of any show that is produced daily is difficult and they cannot all be compelling television,but the show suffered when the topic shifted from sports to non-sports celebrities opinions on sports. When the show was good though,it was very good as I remember vividly interviews with Jim Valvano,Pete Maravich and Mickey Mantle to this day that make you think about the person as just that-a person that is involved with sports for a profession. With the advent of the internet,television and the web have become the home of the quick soundbite and shows such as Firestone's might not be the type of show that appeals to the more youthful demographic,but I prefer to remember the time that sports interviews had a bit more substance than Erin Andrews grinning into the camera without the slightest idea of any type of insight at all,let alone draw any out of her guest. Here is hoping some network gives Firestone the platform again to bring this type of television back to the airwaves. We go back a while for the visits of the Hickory Crawdads to Hagerstown and the Salem Red Sox and Wilmington Blue Rocks to Frederick. Hickory hadn't had many changes since their first visit,so it was pretty much the same old same old except for pitcher Joe Wieland,who was very impressive in defeating the Suns. 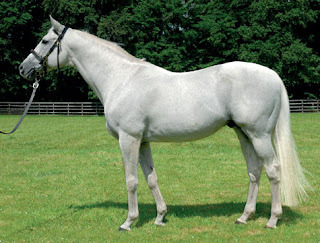 Other than Wieland,the only difference was what they signed from their first visit. One quick note on pitcher Sam Brown,who was promoted to Hickory on the last day of the visit and seemed stunned that I recognized him,had a card and knew he was in town. I had very little for Salem as well. Their team set was not released,so I had just a few fill ins. Ryan Dent signed his Bowman, the sometimes unwilling Oscar Tejada was willing on this day and catcher Tim Fedorwicz finished the day off. The Wilmingtn Blue Rocks did have their team set ready and I was able to do quite well with them. The biggest catch was first baseman Eric Hosmer. Hosmer had a spotty reputation for signing,but signed every card that I had and was very nice as well. The lesson here is-remember everyone has bad days and if a collector sees them on a bad day,the reputation can be different than the player actually is. Christian Colon was another nice pickup as the number four pick in the 2010 draft made his major league debut this night against the Keys. Shortstop Rey Navarro was recently acquired from Arizona and signed both of his cards for me. Colon signed both of his cards for me and chatted a bit about collecting cards as a youngster. John Lamb is having a tremendous 2010 and was promoted to AA recently and signed his Appalachian League prospect card. Three more pitching prospects round out the Royals crew as Tim Melville,Buddy Baumann and Chris Dwyer all signed as well as former Pirate farmhand Jamie Romak,who is currently playing third for the Blue Rocks. Time for some thanks around this time. Thanks to "The Jeff" for his help in getting some of the Frederick Keys. Mail signatures around this time included former Reds (among others) pitcher Wayne Granger,former Yankee hurler Steve Kline,former Pirate fireballer Brian Fisher and my favorite of all,Gentleman Jim Lonborg of the Red Sox and Phillies. Lonborg has long been a favorite of mine and the cards were a great addition. Buckeye fans as well as fans of the Oakland Raiders received sad news yesterday as "The Assassin" Jack Tatum passed away from a heart attack at the age of 61. Tatum had a massive heart attack,but had been suffering from diabetes among other health issues for years. 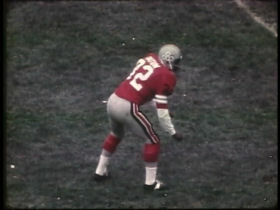 Tatum was a member of the 1968 Buckeye National Championship team and part of a class that lost just two games over three years for Ohio State. To this day after every Buckeye game,"the Jack Tatum hit of the game" award is given out weekly. Tatum's crushing hits earned the nickname "Assassin" and his game likely wouldn't be allowed under today's pitty-pat rules,but in his time was the best in the league bar none and that includes Donnie Shell for you Steeler fans out there. Sadly,Tatum is most remembered for the hit that paralyzed the late Darryl Stingley of the Patriots in a 1978 pre-season game,but there was far more to Jack Tatum than just that moment. Others best remember Tatum for being the Raider involved in the controversial "Immaculate Reception" that started the Steeler dynasty with a 1972 playoff win that is questioned to this day,but most remember the intimidating presence of Jack Tatum pounding pass catchers that dared to come over the middle against the Oakland Raiders. The most famous Tatum hit that has been seen most over the years was his shot in Super Bowl 11 that sent the helmet of Minnesota's Sammy White flying across the field after a Tatum hit. Watching that on replay makes me wonder two things-How did White not get injured seriously on the play and how did he hold onto the ball for the catch? I have not commented on the NHL's ruling to disallow the Ilya Kovalchuk signing,but I will say this-I don't think that any anti-Devil bias was part of the NHL's decision. I have stated in the past that I do believe that there is an anti-Devil bias in the media,but I do not believe that is the case within the league. The leagues case is that the Devils circumvented the cap and to an certain extent that is the case,but I don't think the Devils broke any rules,they simply found a loophole that was no different really than the Blackhawks signing of Marian Hossa last off season. Should the loophole be closed in the next labor agreement? Nice article by Jim Caple of ESPN on the Baseball Hall of Fame and if you could, which players would you remove with hindsight. That may be our next poll question. Things are now looking back to normal with the baseball trip ending and I hope to begin the process of getting things back into form here. Life has been hectic,but beginning to return to normalcy. 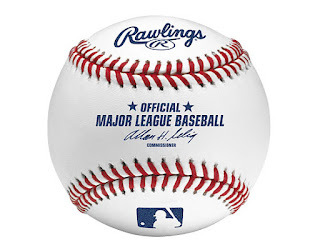 I hope to do some catching up between today and tomorrow and do some topic oriented posts,since the Pirates being in St.Louis and their corresponding central time zone starts will likely hinder Pirate game coverage of the Cardinal series until Sunday's game in Missouri. The Pirates won in Colorado last night behind Zach Duke,but I skipped the Buccos last night in favor of the Indians. Why? 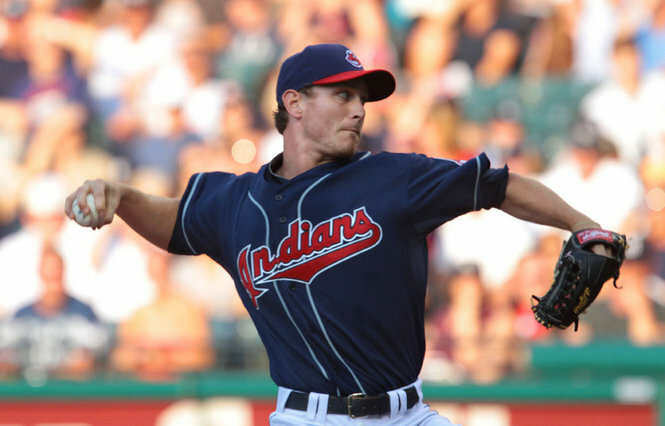 Well,Cleveland called up one of my favorites in Josh Tomlin to make the start against the Yankees. I had just talked to Josh in Columbus (more on the trip later in the week) and the callup just a few days later made me want to watch his debut. Seven + innings of three hit and one run baseball later,Tomlin left the game to the Indian bullpen to finish off a 4-1 Indian win and the first major league win for Josh. Congratulations to one of the nicer players that I have met and best wishes for continued success. 1) Josh Tomlin has always been overlooked in the Indians system because his radar readings didn't rank up with many of the other prospects in the organization. However,what Tomlin has been able to do consistently is this-win games and put solid numbers at every stop. Sometimes,scouts and evaluators (and yes myself included) have a tendency to gloss over winners with intangibles in favor of pitchers that look the part with lesser numbers. 2) Tomlin threw 60 of 93 pitches for strikes and seemed to be ahead of almost every hitter. 3) The one minor downer of the evening was the decision of Manny Acta to take Tomlin out after Robinson Cano led off the eighth inning with a double. I don't have a problem with taking Tomlin out,but do it after the seventh or give him a chance to work on at least one more batter before the hook. I fail to see what a leadoff hit (and from a lefty at that) with a four run lead makes it change worthy. 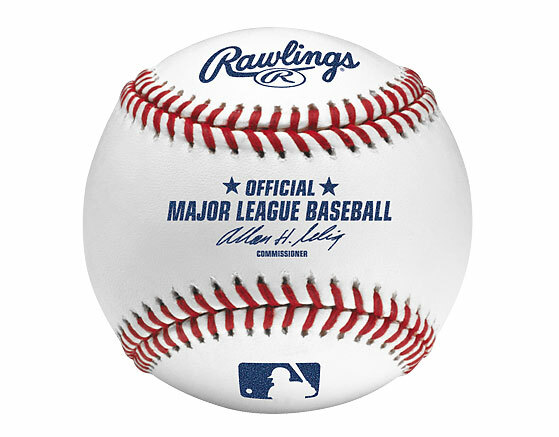 4) Play of the game was Asdrubal Cabrera kicking the ball out of the Yankee catcher Francisco Cerevlli's mitt for the first run. Cervelli had blocked off the plate perfectly and Cabrera would have likely been out without the contact. 5) Michael Brantley was shipped to Columbus before the game to make room for Tomlin on the roster. Brantley was hitting well below .200 with the Wahoos. Brantley is a player that I just have a feeling is not going to live up to the hype. I have been both right and wrong in these situations before,so keep that in mind! Will try to be back later with something new..
Time for cleaning of the inbox! First off,thanks to everyone that sent/gave birthday wishes on Facebook or email to me. Sorry to hear of the passing of James Gammon at the age of 70. 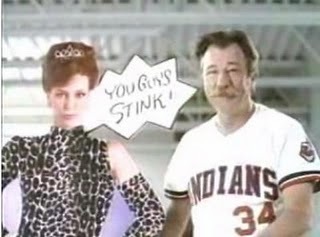 Well,he brought the crabby Lou Brown to life in the Major League film series and did such a fine job that to me,became the most quoted character from the set despite being a supporting character. Battlin' Bob sends this article from the Pittsburgh Tribune/Review on a favorite of mine-Wiffleball. What a great game and one that I still play some each summer as well as another variation that might feature a game in a few weeks and will be on a real field?! Another great article on the whereabouts of N.C.State star and NBA bust Chris Washburn,who seems to be doing well in his battle against drug addiction. Washburn was such a lost talent,very few big men had his type of athletic ability and you could see the potential during his days with the Wolfpack. Nice to see Danny Rosenbaum get his long awaited promotion from Hagerstown to Potomac. Rosenbaum has been the Suns best pitcher all season without the wins to show for it. Just finished the Bullpen Gospels by Dirk Hayhurst. It was entertaining enough and a decent read,but I couldnt help but be a little disappointed. The reviews had it pegged as being a better book than I thought it was and I didn't put it anywhere near Ball Four,Jim Bouton's classic. Speaking of Bouton,I'll wrap this up with goodbye to his Yankee sparring partner,former manager and GM Ralph Houk,who died at the age of 90. Houk had a few pages in the book as the foil to Bouton as Bouton looked back on his career with the Yankees. Houk managed the Tigers and Red Sox after leaving the Yankees and deserves some credit in Detroit as being the manager that developed much of the talent that went on to win the 1984 World Series under Sparky Anderson. The last two evenings have not only seen Pirate victories,but have seen 26 runs cross the plate. 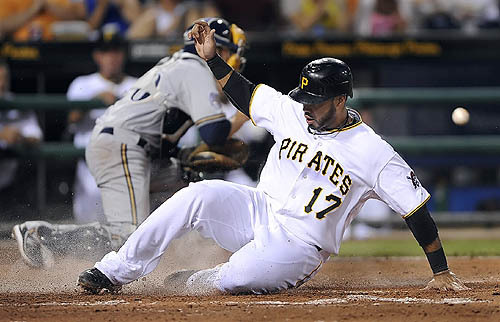 The Pirates conclude their series against the Milwaukee Brewers tonight. 1) The leader of the this suddenly powerful lineup? Pedro Alvarez,who has crushed four homers in the two wins. Alvarez is following his pattern of his minor league performance of taking a few weeks to adjust before he begins to start mashing the baseball. 2) The other? Neil Walker as Walker went five for five on Tuesday and followed that up with two more hits and RBI on Wednesday. Walker's minor league career was filled with stops and starts,but his performance at AAA Indianapolis forced the Pirates to make the move and even when he was called up John Russell and Neal Huntington saw him as a "utility player". Walker has changed those opinions. 3) However,considering that was more of the rule than the exception of the major league talent evaluation of Neal Huntington,shouldn't that make one worry? Especially when one considers that the next young talent to make an impact is likely at either Altoona or Bradenton right now and not Indianapolis. 4) Want to know why the Pirates are still known as a difficult team to trade with even after Dave Littlefield gone with his ridiculous trade offers? The Post-Gazette reports that Texas asked about Joel Hanrahan and the response was how about Neftali Feliz? 5) Ryan Doumit caught three innings and left the game with lightheartedness. I am not a doctor nor do I play one on TV,but Doumit's history with concussion type issues make me wonder whether he will be able to catch in a year or two. 6) I missed this when the Astros were in town and he didn't pitch that well, but I like Bud Norris. I like his arm a lot and he strikes me as one of these pitchers that might take a few years and a team or two to put things together,but when he does-look out! 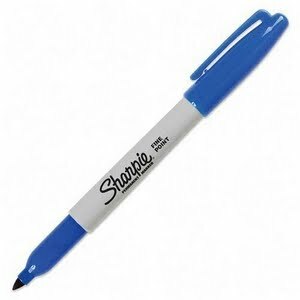 I was all ready to announce the Devils signing Ilya Kovalchuk to a seventeen year contract for 102 million dollars. I suppose I could as Kovalchuk signed the contract and the Devils held a press conference announcing it,but the NHL stepped in tonight and rejected the contract as circumventing the salary cap due to its small cap hit over the last few seasons of the deal. The league said that it was unlikely that Kovalchuk would still be playing at that age (44),but the players union is expected to challenge that and will have several players that will weaken the leagues case,most notably the still active 48 year old Chris Chelios. More on this as it develops and after the weather clears,I can look at the on ice ramifications of the huge deal for Kovalchuk. After two days that saw the Pirates look like a legitimate major league offense,things were back to normal as the anemic Bucco bats returned in a 3-1 loss to the Milwaukee Brewers. Jeff Karstens was the losing pitcher in falling to 2-5 on the season. 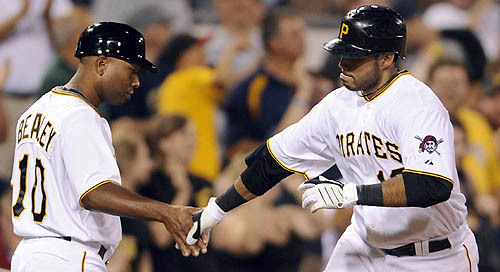 Ronny Cedeno's fifth inning triple that scored Pedro Alvarez produced the only Pittsburgh run. 1) The difference between these two less than stellar teams? The Brewers have tons of it,even it is all that they seem to have as a team strength and the Pirates have little of it. Bad teams with power can turn deficits around quickly. Bad teams without it need to string multiple hits together that they are unable to do on a consistent basis. 2) Jeff Karstens was perfect for four innings until Prince Fielder's fifth inning homer and Rickie Weeks reached him with what proved to be the game winner,but Karstens is beginning to shape into a serviceable fifth starter/5 to 6 inning pitcher. Karstens will not have more of a ceiling than that and long relief might be his best role,but I do see some maturity in his game. 3) Liked the fifty minute rain delay under dark skies. Gave me time to play a quick game of MLB 10 The Show,which might be my favorite video game ever and that friends coves a lot of ground from a game player from the days of Intellivision!. 4) Ronny Cedeno isn't my idea of even an average shortstop,but he is hammering the baseball this month at a pace above .400. Cedeno is a maddening player to watch,so anytime that the Pirates can get any kind of mileage out of him at all makes things easier. 5) The bullpen did their job well despite the loss as four pitchers combined for three shutout innings.The pen has been a pleasant surprise for the most part this season with the exception of Brendan Donnelly. Back tomorrow with the Devils signing that will go a long way towards what the franchise is for the next decade and beyond! Finally,the long work gauntlet is over and things can start to return to normal! I still need to catch up on missed rest,but the corner has been turned. 1) Andrew McCutchen injured his shoulder late in yesterday's win as he made an excellent diving catch. 3) The Pirates put up a lot of runs in their wins,but I still cringe thinking about the stupid baseball that the Buccos played in the opening loss of the series. Most focused on Andy LaRoche falling asleep and being picked off second that ended an inning that had two runners in scoring position,but the one that drove me nuts for Ronny Cedeno chasing a Astro back to first instead of throwing the ball and ruining a rundown situation. I coached better situational baseball in little league. 4) Paul Maholm did exactly what a veteran pitcher needed to do in his complete game shutout on Sunday.Worked fast,got ahead in the count and controlled the strike zone. Houston isn't a very good team,but the veteran lefty must have remembered the Ray Miller mantra before the game. 5) Pittsburgh sold Hayden Penn to the Chiba Lotte Marines from Indianapolis and the Bucs reportedly close to selling Indy reliever Vinnie Chulk to a Japanese team as well. Wonder what our man in Japan Brandon Siefken,who once had a fantasy baseball crush on Chulk,thinks about his guys coming over to the Pacific? 6) Things were kinda of in blur over the past week,but I will attempt to make things up over the next few days. I will be on a weekend baseball trip,but I am hoping to have time for two feature posts to automatically post on those days. Back with the biggest news of the day soon!!! Not many Pirate notes,but a few going into the cleanup phase. The Pirates demoted Jason Jaramillo to Indianapolis and recalled Eric Kratz to backup Ryan Doumit. The thirty year old Kratz makes his big league debut in Houston. This probably is a good thing for Jaramillo,who was never going to be a big time bat,but has struggled with the mitt,which is supposedly his calling card. It is nice to see a minor league veteran such as Kratz get a chance to hit the big time and I would bet that he makes at least a cameo appearance in the Houston series. The Post-Gazette looks at some of the heralded signees from the 2009 draft that are currently pitching for the State College Spikes. Not of all of these arms are going to make it all the way to the top,but the Pirates have to hope at least one or two are able to. John Russell has finally decided to make Lastings Milledge the full time right fielder and move Ryan Church to a reserve role. Russell had platooned the pair and Church's lack of performance despite having loads of opportunities made me wonder what was going on. Milledge may not live up to hopes and expectations,but he definitely will not do so platooning with the likes of Ryan Church. Good news and bad news from West Virginia as Nate Baker,who tossed eight no hit innings at the Hagerstown Suns was promoted to High A Bradenton,while touted 2009 draft pick Jeff Inman was shut down with elbow issues. Two pitchers that were brought into the system last season through high profile trades swapped spots as Tim Alderson was demoted to Bradenton with Jeff Locke taking Alderson's spot with Altoona. Alderson has been quite disappointing since arriving from the Giants organization last summer. Brian Bixler is back as the Pirates traded with Cleveland to reacquire the shortstop.Bixler was swapped for Jesus Brito ( now with West Virginia) over the winter and the terms of the trade were undisclosed,although it likely will be cash considerations. Back tomorrow with the Pirates against the Astros. I figured something would suffer during my work run and sure enough,it was the blog. I'll do my best to keep things up from here on out,but no promises until next week. The Hagerstown Suns are adding to their services with a have a catch promotion coming soon and on occasion opening the gates early so fans can watch batting practice. I talked to a source in the Suns management,who told me about the ideas and both sound ,well sound. I especially like watching BP as that helps with signatures and it could add something that misses out at the Muni,anticipation of the game. I have some assorted Pirates news,but I'll try to save that for tomorrow's (possible) post as the Pirates host Houston tomorrow night to kick off the second half. Terry Pluto takes a look at LeBron James and his slap in the face to the Cavaliers as well as Ohio. As more and more comes out,it has become quite apparent that James deceived the Cavaliers for close to a week as he was telling other free agents to hang tight (Mike Miller for one) that he was going to Miami. The Browns signed former Seahawks wideout Bobby Engram as a free agent. Not sure what Engram has left in the tank,but if he can play at past levels,he could be a nice pickup on the field and off the field as well.. Anything better at passing a work morning than live golf? Watching live at four in the morning makes things go quickly and I love watching major tournament golf anyway,especially killing work time! If there were a good time to miss blogging,this appears to be it as that about covers the non-Bucco stuff. Back tomorrow and thanks to all the Facebook friends for all the birthday wishes!!! Time for a few words on the fiasco that was LeBron James leaving the Cleveland Cavaliers and the fallout from the "decision". LeBron James did nothing that he was not entitled to do. He served his time and certainly is allowed to shop his talents and go elsewhere,if he so desired. I have no problem with that and even though I have some problems with his decision,I am not going crazy because he left. I do think that this was a decision that was as predetermined as an old Memphis wrasslin angle that always saw Jerry Lawler emerge with his hand in the air. James,Dwyane Wade and Chris Bosh had this in mind all along and had they been honest and spared the dog and pony show,I would likely be unhappy but not furious. Instead a promotional effort that was a monolith of publicity for something that was already decided was in place and the end result was Cleveland being humiliated and the NBA weakened. As far as Dan Gilbert's open letter to the fans goes,although it may have been a bit over the top,Dan Gilbert said what many felt and had the guts to say it despite the expected bashing from the national media. It is refreshing to see an owner say what he felt instead of going through the charade of the "thanks for seven great years and best wishes" routine that most teams do. Gilbert might have been a bit strong with the insisting that the Cavaliers will win a title before the James gang will and the Cleveland curse stuff seemed a bit silly. That said,I give Gilbert credit for being honest and the fact that Gilbert has so much motivation to win will be a help to the Cavalier organization in the long term,although this certainly cannot be a short term positive. The biggest question that I have over all of this is as follows-what happens to the Cavaliers when attendance falls and the money being brought in drops off accordingly? Will Dan Gilbert decide to look for greener pastures that will be easier to bring free agents to? One has to at least consider the possibility. 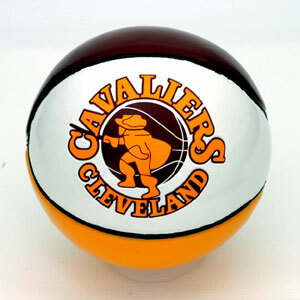 As a long time Cavalier fan,I have rarely been prouder of the team than I am today. The best teams that the Cavaliers have ever put on the hardwood was the late 80's-early 90's teams that Michael Jordan always defeated. 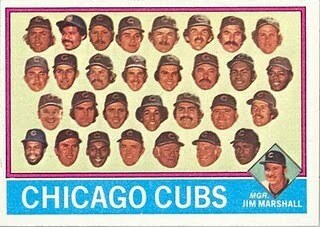 Those were good,but not great teams,but were always fun to root for. Mark Price,Brad Daugherty,Craig Ehlo,Hot Rod Williams and Ron Harper etc always seemed like good people and they played team basketball that was fun to watch. Those teams weren't quite good enough to overcome the Bulls,but imagine if they were. Team triumphs over the one man show would have been quite the story,except to ESPN,who would have lightweighted it somehow. The Cavaliers are again making the commitment to being more than just LeBron James and back to being the Cleveland Cavaliers. That may also be back to the world of mediocrity as well,but I think I'll take it. Dealing with the NBA egos make me glad I like hockey. Can you imagine Sidney Crosby,Alex Ovechkin and Joe Thornton getting together for something like this??? After a 6-3 loss on Wednesday,the Pirates attempted to avoid a sweep against the almost as hapless Houston Astros Thursday afternoon and their ace righthander Roy Oswalt. Oswalt controlled the Bucs other than a first inning single by Neil Walker and the Astros used two pop up style homers down the left field line by Lance Berkman for a 2-0 win. The Pirates travel to Milwaukee for three games at Miller Park over the weekend. 1) I missed the Wednesday game to watch the Low A West Virginia Power in Hagerstown,I'll be writing about that soon,time permitting. 2) Lance Berkman hit four homers off Pirate pitching in the three games and all were down the left field line hitting left handed. Minute Maid Park down the left field line makes me think of the "Chinese home run' down the line of the old Polo Grounds,where the ball had to travel just 279 feet to leave the playing field. 3) The Pirates did make a move in bringing in another faded former prospect in Sean Gallagher from the Padres for cash considerations. Is Gallagher anything more than another retread arm? 4) First inning of Thursday's game-Hey Ryan,Oswalt looks sharp today,no-hitter type stuff. One batter later,Neil Walker singles "so much for that". 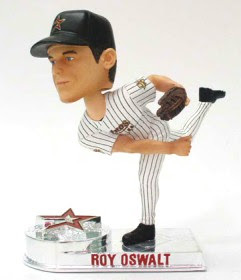 Only hit Oswalt allows all day. 5) The fact that Houston swept this series shows just how bad the Pirates are. Houston is a bad baseball club and yet they swept the series. As much as I have some hope,this team is still years away from turning the corner. 6) Lastings Milledge is not Roberto Clemente,but is there anyone out there other than John Russell that believes that continuing to run Church out into the field every day is a good idea considerinng Church's miserable season? I begin tonight with the first of eleven straight days of work. Do not be surprised if I miss the occasional post. I hope to be back tomorrow with a post on LeBron "I know how loyal I am" James and his decision to go to Miami. To the point-If LeBron James leaves Cleveland tonight to sign with anyone else,then David Stern and his minions need to begin the process of changing the league and eventually find a new home for the Cavaliers to play in. If a professional league that claims to have each team have an equal opportunity to compete winds up with a situation like this-If Cleveland cannot keep the best player in the game,that is from the hometown area,would pay him 30 million dollars more than any other team and has went above and beyond trying to assemble a team to contend,well then your league is dying on the vine. Not only in Cleveland,but several smaller cities as well. You see,Mr Stern,other cities are watching this play out. The Milwaukees,Indianapolises,Memphises etc are all watching,because in the event that they get an impact player,would they be able to keep them? And money isn't part of the equation like in baseball,the team trying to keep a star can pay far more money than anyone else. San Antonio has been blessed by Tim Duncan,but Duncan is proving to be the exception not the rule as far choosing things other than the top dollar. Kevin Durant deserves some credit as well for quietly signing an extension with Oklahoma City and realizing that if you are good enough,all the things that the largest markets offer will be there no matter where you play. If LeBron James signs elsewhere,it will be looked at as second only to the Art Modell betrayal in Cleveland sports history. There would be no reason to leave,not money,not fame and not even championship opportunity as the Cavaliers have committed themselves to trying to win,even the moves haven't always been the smartest. If you think Carlos Boozer hears crap from fans,it will pale in comparison to the James visits three times a year. James and his family lives in the area,they have know how the Modell name is mud and can they really wish for their name to join Art Modell as a local epithet? As far as Cleveland basketball goes,Cleveland isn't really a hoops town. The Cavaliers have done well when they were an elite team,but anything other than that,attendance tends to tumble. Why even bother could be the response of the Cleveland fans towards the Cavaliers without James. Sure,they would likely be a playoff team next season,but not a real contender and without those hopes,the train begins rolling. Why bother when the deck is stacked against you? Why bother when the league that in which you play appears to prefer a 12 team league made up of All-Star teams in only the largest cities? Why bother if the hometown star goes elsewhere for the final slap in the face to an already scarred sports town? Why bother if the eventual result is a return to the Ted Stepien era that brought us a "fight song" like this one? C'mon,LeBron-do the right thing and pad the wallet as well and if not,I hear there is a hockey team for sale in Phoenix. LeBron,if you want to play elsewhere,remember this-stars play anywhere-legends are built at home. Brad Lincoln's return to his hometown was an unsuccessful one as the Pirates were never in the contest in a 6-2 defeat to the Houston Astros. Lincoln allowed five runs in five innings and suffered from two home runs in dropping to 1-3 on the season. Game two of the series features Daniel McCutchen (1-3) for Pittsburgh against Houston's Brian Moehler (1-4) at 8:05. 1) Nate Baker of the low A West Virginia Power tossed eight innings of no hit baseball against the Hagerstown Suns,but was removed due to the pitch limitations. I see the Pirate point,especially with Baker having a past injury history,but it still seems a bit wrong to me. Where was I? Oh,I stayed home. Between the record setting heat and the Pirates on TV,I stayed home. 2) Brad Lincoln just seemed a off last night to me. He had good enough stuff,but seemed to lack control and sometimes on special occasions like Lincoln had last night,the tendency is to overthrow and that makes a lot of sense when you watched the game. 3) Houston's Hunter Pence clobbered a Javier Lopez pitch onto "Tal's Hill" in deep center field. I don't see a ton of Astro games,but that was the first time that I had seen one hit the hill on the fly. 4) I usually don't like the retractable roof/dome places,but I confess to liking Minute Maid Park. Ryan is bothered by the old west feel for a team called the Astros and I see his point,but I still like the place and all its little quirks. 5) A Steve Pearce sighting. Pearce will be out until at least August with Patella Tendonitis in his left knee. Tough break for Pearce,who was just starting to establish himself this season. The signing front returns with looks at the Hagerstown Suns and Frederick Keys team sets plus visits from the Charleston River Dogs to Hagerstown and the Lynchburg Hillcats to Frederick. The Hagerstown team set was a battle from the beginning as both rumors and personal conversations brought forth news of the team possibly not making an 2010 team set. Fortunately,whether the team listened to collectors or just decided to do the right thing,the Suns came out with a set to their credit and it was quick too,especially when you look at some of the teams still coming into the Hub City to play the Suns,which have yet to release their set. Aesthetically,it is middle of the road. The pictures are photoshopped on a navy blue background that w ould not be bad,if some of the players weren't wearing their alternate blue jerseys. Those are rough because the autograph becomes very difficult to read and they look a lot like the team checklist head shots from 1970's Topps cards. The set is sold for 15 bucks,which is double many teams price,but considering that the print run is just 250 sets,I am more than fine with that (But not with something else,that is in a future signing front) and if you are not able to get one through the team,the prices zooms even higher. The best prospects in the set are Destin Hood,Jeff Kobernus,Danny Rosenbaum (who added Go Muskies to his card by request) and Trevor Holder,who has since moved up to Potomac. All and all,not a bad set although a white background rather than blue would have looked a bit better with the issues of photoshopped images and I could have done without so many of the garbage cards in the set. I love the Muni card that was put in the set in each of the last two seasons,but was it really necessary for cards of ALL of the H-Town Crew,Woolie B and the Scoreboard Cowboy at the expense of the two player prospect card that the team added in the 07 and 08 sets? The Frederick Keys team set features lots of game action without photoshopping,although I must admit some trepidation when seeing the card on top of the set. The Xavier Avery card was very dark and I had concerns about the rest of the set. However,the Avery card was the only one like that and the rest are quite visible. The Avery shot was taken as he camped under a flyball during a night game and he was in front of the batters eye making the shot even darker. The Keys aren't loaded with prospects this season,but the best of the players in the set look to be the aforementioned Avery,L.J.Hoes and Brett Jacobson,who was obtained from the Tigers last season. When the Lynchburg Hillcats came to Frederick,it looked like a slow night. One that which I had very little for and was invited to enjoy the game without a reason. However,Lynchburg's team set arrived and I was able to buy one from another collector and suddenly I had something to do. The set looks a bit drab with a gold bottom border,but not awful. I'll take a drab set over a gaudy looking one every time. Notable Hillcats that signed were former number one pick Brad Boxberger,who is reported to sign just one card,but both nights that I saw Lynchburg this season,I had just one card for him,so that is hearsay,Neftaili Soto,Mark Serrano (who was starting yet still took the time to sign for me) and Donnie Joseph,who earned a fan in me. When I asked Joseph to sign,he told me that he had to go to the bullpen and "would be right back". Usually this is playerspeak for "I don't have time/feel like it".especially in Frederick where the field is accessed by a long staircase,but Joseph put his stuff down in the pen and walked right back up to sign. Charleston came into Hagerstown for a three game series that brought a Yankee affiliate to town for the first time in years. Because Staten Island does not make a team set,the cards were limited to mainstream sets.Yankees are usually abundant in such sets,so I did have some. First round pick Slade Heathcott signed everything and was very accommodating as was manager Greg Colbrunn,a former journeyman catcher in the show. Other notable Riverdogs were Luke Murton,J.R.Murphy and DeAngelo Mack. Two of the three games did well in attendance,making things tough at times,but the other game was light and far easier to get things finished. Thanks to Bill Cover for his help with a few cards from Harrisburg with Danny Espinosa and the always difficult pair of Akron Aeros in Lonnie Chisenhall and the since promoted Cord Phelps. I was going to lead with the Pirates win yesterday over the Phillies,but the stunning passing of Bob Probert at the age of 45 takes precedence. Probert was (in my opinion) the greatest enforcer that hockey has ever seen and despite past issues with drugs and alcohol to see him pass away at such a young age is simply stunning. Bob Probert was more than just the most feared puncher on skates,he could play the game as well with six seasons of double digits in goals and a career high of 29. Probert's off ice issues certainly didn't help his career any and it actually caused his departure from Detroit,but it seemed like his post career had been spent straightening up those affairs and Probert was not in the news for negative reasons. Probert participated in a Canadian reality show called Battle of the Blades last season,which seems to have been a figure skating show. Probert also made a memorable appearance in WCW with a scrap with Tank Abbott that didn't result in any contact,but did see Probert "save" his boss Bruce McArthur from Abbott. 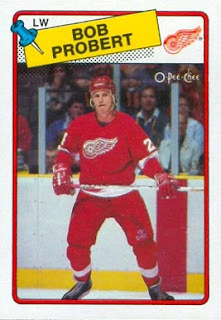 The amount of classic battles that Bob Probert fought are too numerous to mention as are the people that he fought with. A few memorable wars were with the Devils Troy Crowder,who beat Probert in their first meeting before Probert gained revenge with an emphatic win in the rematch,Tie Domi,who seemed to delight in taking poundings from Probie and then mouthing off after yet another defeat and against the always scrappy,but undersized Wendell Clark. Bob Probert's fight record can be found here. Bob Probert was the reason that I started collecting and making hockey fight tapes (now DVD's) and his collection was the first things that I obtained when I began. But to me,the death of Bob Probert hits hard for another reason-Bob Probert was 45,there is three years of difference in age between us. Being in the shape that I am in makes one ponder things in life,maybe it is time that I do something about this and take care of business.. Very few good things came out of the Phillies 12-4 pummelling of the Pirates last night other than the first pro homer by Pedro Alvarez (1). Paul Maholm was the loser and is now 5-7. Ryan Church also homered (3). 1) Paul Maholm didn't pitch well,but in the five run third it could be been lessened by better defense. Bobby Crosby turned a double play ball into zero outs and Ryan Church botched a routine fly that added even more to the total. 2) Crosby now has made eight errors in his fielding time this season. There usually is a reason utility infielders are what they are,but to be this bad in the field makes one question holding that spot. 3) Best part of the Pedro Alvarez homer? Alvarez will have so much more success if he can establish himself as more than a pull hitter. That leads in turn to teams not being able to play defensive shifts and playing him simply to pull and therefore more hits. 4) Maholm has now sandwiched his best outing of the season between his two worst outings of the year. 5) Pittsburgh has pulled away from Cleveland and Houston and now would own the second pick in next years draft. For the third consecutive day,the Pittsburgh Pirates used a pitcher that had not won a game this season to lead the team to victory. Ross Ohlendorf (1-6) threw seven scoreless innings in following Brad Lincoln and Daniel McCutchen in gaining their initial wins this week as the Pirates shutout the visiting Phillies 2-0. Both Pirates runs were scored on a weak dribbler by Andy LaRoche that forced Jamie Moyer to launch a quick and off target throw in order to try to end the inning by retiring LaRoche. The resulting error allowed Andrew McCutchen and Ryan Doumit to score and both started and ended the scoring for the day. Octavio Dotel snatched his 18th save after a scoreless ninth inning. The Pirates are now guaranteed no worse than a split of the four game visit from their interstate rivals and will attempt to wrap the series up with a win today with Paul Maholm (5-6) vs Kyle Kendrick (4-3). 1) Play of the game comes from Lastings Milledge,who's sliding catch in the sixth with two runners on kept the Phillies off the board. Milledge is inconsistent with the glove to the point of maddening,but the catch was the difference in the game. 2) Ross Ohlendorf looked to be coming around with his solid outing last time in Oakland,but was even better last night. Ohlendorf got ahead in the count (22 first pitch strikes) and managed to stay ahead,which hasn't always been the case this season. 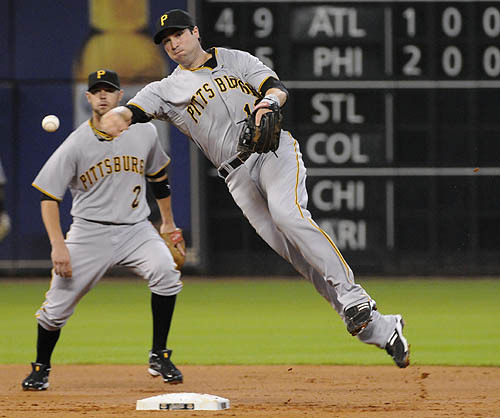 3) Neil Walker may be able to return to action tonight from his concussion issues. Walker's return would add a needed bat to the bench,which had been short handed since his injury. 4) Jamie Moyer looked pretty solid for the Phillies.Moyer is 47 years old and he could lose it at any time,but he has 267 wins for his career. Let's give him another five this year to move him to 273 for his career and 14 for the season. That means two more seasons like that gives him 300. That equals Cooperstown,friends-like it or not. 5) Charlie Morton was optioned to Indianapolis to give him a few more starts there and attempt raise his confidence.Morton looks to me to be the poster child for a 4A pitcher. 6) Do I need to conclude every blog with a Keith Olbermannesque countdown of days that Steve Pearce is forced to stay with the I-Tribe? This has gotten beyond ridiculous. Time for some cleaning of the inbox . My latest post on the Hagerstown Suns is up over at NationalsProspects.com. Take a look and check out "Sue Dinem's" stuff often. If you are interested in Suns,former Suns or the Nationals in general,it will be well worth the stop. Scott Bowden takes an excellent look at Ricky Steamboat at Kentucky Fried Rasslin. Steamboat recently was the subject of a WWE DVD release and was then pounded on Monday by inexperienced wrestlers to the point of a legitimate brain aneurysm. I know I sound like a cranky old guy,but in my day when the legends were beaten up for the purposes of an angle-the most that they suffered were a few punches,kicks and maybe the shirt torn off for good measure. The slams and bumps that Steamboat was given at the hands of nowhere near ready for prime time grapplers caused severe damage and was simply unnecessary. Everything evolves,but not always for the better..
Battlin' Bob sends us word of the passing of former Cardinals and Chargers coach Don Coryell at the age of 85. Coryell was almost universally loved by his players despite looking like he was wearing shoes that were three sizes too small with his facial expressions. Coryell was the innovator of the modern passing game and it took the Cardinals over thirty years to recover from his ridiculous firing after the 1977 season. Former Canadian Triple Crown champion With Approval passed away last month in England at the age of 24.One of my all time favorites, With Approval set the world record for a mile and and three eighths and just missed victories that would boosted his resume' immensely with close defeats in the Breeders Cup Turf and Arlington Million. Thanks again to those of you that sent notes on the Carl Radle feature. There will be music features in the future that even if you aren't a fan of the artist,you'll at least find them interesting reads. Behind a surprisingly good outing from winning pitcher Daniel McCutchen (1-3),the Pittsburgh Pirates were able to slide by the Philadelphia Phillies 3-2 at PNC Park. Octavio Dotel pitched the ninth for his 17th save. The middle game is tonight with Ross Ohlendorf (0-6) vs Jamie Moyer (9-6). 1) Last nights start for Daniel McCutchen was the best that I had seen him look. McCutchen didn't get behind in counts and have to come in with a fastball like he had in being lit up in past starts. 2) The only mistake that McCutchen made was to Wilson Valdez,who hammered a fastball over the Northside Notch for the Phillies first run and the only earned run that McCutchen would allow. Valdez is not considered to be a power hitter,so seeing him slam the ball that far was a surprise. 3) John Russell moved Pedro Alvarez to second in the batting order in an attempt to have Alvarez see fewer breaking pitches. 4) Evan Meek fired two scoreless innings drop his ERA under one and even batted in the seventh in order to pitch the eighth,laying down a nice sacrifice bunt. I laughed at first about the beginning drumbeat for Meek to make the All Star team,but upon reflection-why not? It isn't like the Pirates have a super qualified player that would lose out and it would be a nice statement to have a dominant pitcher that isn't a starter or a closer make the team. 5) Andy LaRoche was given a throwing error from second that led to the second Phillie run and maybe LaRoche should have just ate the baseball,but he made a nice play to just reach the ball and had the run not scored,it could have been argued that it should have been scored a hit. 6) Tonight is Ice Cream Bowl giveaway night. From those terrible Pirates commercials that act like the home shopping club,they look pretty neat and sturdy too. 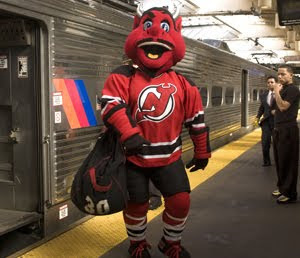 Lou Lamoriello and the New Jersey Devils were very busy on the first day of free agency as two players were bought out and allowed to become free agents,one player was lost,two were re-signed to new contracts and three new players were signed by the Red and Black. First off,the Devils lost a player that was thought to be a linchpin of the franchise by some,but I don't think will turn out to be a huge loss over the long haul. Paul Martin signed a five year contract with the division rival Pittsburgh Penguins,so the Devils will see Martin quite often over the course of that contract. Martin was the Devils best offensive defenseman,but with the improvement of Andy Greene last season Martin's role could be filled by Greene with very little downside. Greene will have to raise his game some,but with Martin missing 55 games last season Greene and the Devils were able to have an extended preview of life without Martin. I think the Devils will do fine and the Penguins may wind up disappointed in the long run.Martin has never scored more than six goals in a season and for a player that Pittsburgh will be looking to replace Sergei Gonchar with-that is not exactly Bobby Orr country. Andy Greene will have to be up to the task of being the power play point man and the top threat because the Devils signed two players that are basically defense oriented in Anton Volchenkov and Henrik Tallinder to long term deals. Volchenkov was brought in from Ottawa (six years 25.5 million) for this reason according to Lou Lamiorello-"He's going to do something in our zone that we haven't done since Scott Stevens left,and that's make it very hard to play in our zone." In other words-Lou has made it a priority to make the Devils defense play old time Devils hockey and keeping the net clean and clear looks to be a Volchenkov speciality. I talked to our number one expert on everything Ottawa Senators and he told me "You are going to love Volchenkov,you (Devils) havent had a guy like this since Scott Stevens,one of the top four defensive D-men in the game and Volchenkov and Chris Phillips were the best shut down defensive pair in the game". That sounds good enough for me! The other new Devil blueliner is Henrik Tallinder for four years and 13.5 million. Tallinder is noted as a puck mover,although not a goal scorer with a career high of four. The Devils also upgraded at backup goaltender with today's signing of Johan Hedberg. Hedberg is an immediate improvement over Yann Danis and shows that for the first time that the Devils may truly be serious about reducing Marty Brodeur's playing time a bit. Hedberg is capable of playing twenty or so games at a decent level that Brodeur can sit and rest and not allow the team to be out of the contest. New Jersey kept hard nosed right winger David Clarkson in house with a three year eight million dollar deal that needed to be done. Clarkson's injury last year was the missing intangible to the team and between his coming back late and the late season acquisition of Ilya Kovalchuk,caused the team to be out of sync. A full season of Clarkson changes that. Rod Pelley was also resigned as well to an unknown deal. The Devils waived Jay Pandolfo and Andrew Peters. If both clear waivers,they can then be bought out of their contracts and the Devils would save two million dollars in cap space. I'll miss Pandolfo for his contributions to the franchise and his classy persona,but he is clearly near the end of the road and not of value for the contract that he was receiving. Peters will be replaced easily in the big enforcer role by Pierre-Luc LeBlond and wont be a loss of any stature. Lou Lamoriello also says that the team is not finished making moves and still has a shot at Ilya Kovalchuk as well. I think that Kovalchuk will likely be out of the teams price range unless they are able to move someone and quickly so to make space,but I can hope. I know many think Kovalchuk was a bad fit for the Devils,but I disagree. One training camp with the team is all that Kovalchuk would need to seamlessly fit into the team. The Devils used their second round pick in last weeks draft on Jonathan Merrill,a defenseman from Michigan. The 6'3 Merrill will attend michigan this year and was rated 21st by International Scouting,yet the Devils were able to grab him at the 38th pick. 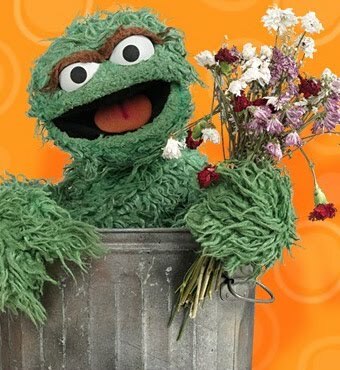 Back tomorrow with Pirates-Phillies and maybe the promised inbox cleaning. Meat Loaf sung it and the Pittsburgh Pirates did it as the final three games of a nine game road swing turned out to end better than it began with two wins in three days at Wrigley Field against the only team that the Buccos can seem to defeat regularly in the Chicago Cubs. 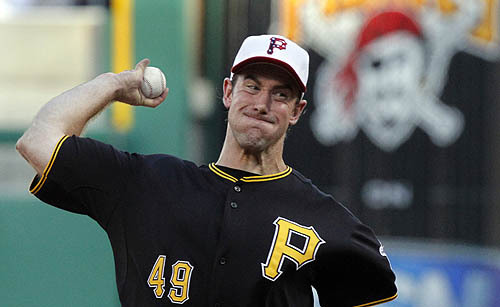 The Pirates now begin a four game series tonight against the hated Phillies at PNC Park with Daniel McCutchen (0-3) facing off against Cole Hamels (6-6). Pirate Hooks-Things a bit hectic here yesterday,so I decided to combine the series into one recap and move on. 1) The Pirates had to be pleased with the pitching during the series. I saw the two wins (was in Frederick for the middle game loss) and both Paul Maholm and Brad Lincoln looked strong. What I was most encouraged with was both pitchers being able to work their way out of jams without the backbreaking base hits that plagues the Pirates consistently. 2) Lincoln was saved by the winds off Lake Michigan that kept a bomb off the bat of Alfonso Soriano in the ballpark instead of soaring out of it. That and Lincoln getting a huge strikeout of pinch hitter Tyler Colvin with two runners in scoring position were the biggest breaks in the game. 3) Lincoln allowed just four hits over seven innings,Paul Maholm seven over eight innings and Jeff Karstens seven in six innings in a losing effort. Keep the hit totals low and good things tend to happen. 4) I don't want to shortchange Maholm in his win as he kept the Cubs off balance and didn't have the advantage of the wind either. 5) The Maholm win almost didn't happen as Ryan Doumit wasn't even halfway between second and third on a flyball smacked by Jose Tabata went over the head of Tyler Colvin. Doumit then compounded the error by not sliding into the plate and was narrowly safe. 6) That game again saw another injured infielder as Bobby Crosby ran into Lastings Milledge on a pop/fly. One would think that major leaguers would master a skill taught to children,but it is possible that crowd noise could have been an issue with the Crosby play. Considering the Neil Walker collision was in Oakland,I cannot give that possibility to that smashup. 7) Tom Gorzelanny tossed five shutout innings against the Pirates and continues to be at least a decent starter. Why Neal Huntington virtually gave Gorzo away (and to a division rival,no less) for an assortment of empty Gatorade bottles is baffling. 8) Andy LaRoche finally played some second base after the rash of collisions. I thought that was a good idea as I would much rather see LaRoche try than more of Delwyn Young's flailings like last year. 9) Hasn't Steve Pearce's injury assignment to Indianapolis seemed like it started in the Truman Administration? What the Buccos thinking process is with this is unknown,unless the idea is to attempt to inflate the trade worth of Ryan Church with some extra at bats. Pearce needs to be in the lineup and soon. 10) Speaking of Church and trade value-virtually none. Why would any team want a pinch hitter/backup outfielder that followed a .161 May with two homers with a .100 June with no longballs.